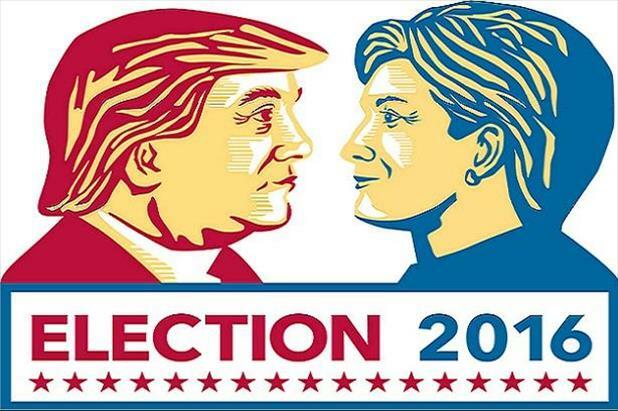 In our four-part examination of the 2016 presidential campaign, we’ve looked into Donald Trump and Hilary Clinton’s positions on a host of issues that will impact working Americans across the US. From taxes and trade to workplace reforms and job creation, we’ve attempted to provide a straightforward analysis of where each candidate stands. To close out the series we’ll dive deep into how each campaign has pledged to tackle investing in America’s infrastructure and what they have planned for energy policy. The poor state of the US infrastructure system is possibly the one issue Trump and Clinton agree on. That doesn’t mean they have the same plan to fix it, though. Clinton has pledged to spend $275 billion on infrastructure over the next five years combined with another $25 billion in loans and guarantees for private-sector investments. Trump, on the other hand, has vowed to at least double that figure, going so far as to reference a “trillion-dollar rebuilding plan” focused on repairing roads, bridges, and airports across the country. While it’s great that both campaigns have set their sights on improving America’s crumbling infrastructure, they may need to do a whole lot more. According to the American Society of Civil Engineers, $3.6 trillion is needed by 2020 to rehabilitate, reinforce, and rebuild critical systems and structures across the US. That level of expenditure may not sit well with some supporters, especially for Trump’s more conservative followers who are generally against increased federal spending of any kind. However, investment in infrastructure has long-term benefits and could be a boon for workers in the manufacturing, construction, and engineering industries. Although the two candidates are in agreement on the need to fix America’s infrastructure woes, they could not be further apart when it comes to energy policy. Clinton’s campaign intends to continue with and enhance Obama’s climate action plan, providing grants and other market-based incentives to get states to exceed federal carbon pollution standards. Clinton has also vowed to increase renewable energy production and usage, making it a cornerstone of her presidential platform. Trump’s plan is to open up energy exploration, rolling back regulations that have impeded oil and natural gas production and renewing the application for the Keystone XL pipeline extension. In addition to doing away with a number of guidelines, Trump has also pledged to overturn the moratorium on energy production on federally owned areas and rescind the Climate Action Plan that caps greenhouse emissions from coal-fired power plants. Both candidates’ focus on infrastructure spending would be guaranteed to generate new jobs, as would their individual energy plans. However, the key differences in focus when it comes to energy means any opportunities created would be in very different sectors, renewable energy for Clinton and more traditional coal, natural gas, and oil positions for Trump.